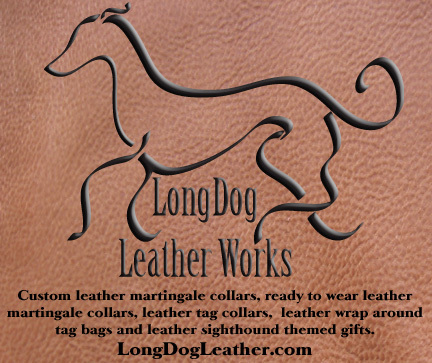 LongDog Leather Works is a small home based hobby turned business to outfit sighthounds and other dogs in leather collars and accessories. All of our collars are hand made from sturdy leather and fully lined with a velvet soft deer hide that is both glued and stitched on. All of our hardware is double riveted on for strength. We make all of our items by hand with loving care. We do both still work full time though, so we take care of LongDog Leather Works business on weekends and evenings. This means that we aren't the quickest folks in the business, but time and again, our customers tell us that our handiwork is well worth the wait. Please take a look at our Etsy store to see ready to ship items. If you have any questions about anything, please don't hesitate to contact us.